Car accidents are a very common cause of injury, and the results of a car accident can be mild to moderate to severe. In the immediate aftermath of a car accident that causes injury, most people's first instinct is to contact their insurance companies to make a claim. In many cases, especially serious auto accident cases, it is important to consult an experienced auto accident lawyer before talking with your insurance company and the defendants to make sure all of your rights are protected. The New Jersey car accident lawyers of the Todd J. Leonard Law Firm have counseled and represented car accident victims for more than 30 years. Our auto accident attorneys have significant experience helping car accident victims get fair financial compensation, especially in cases involving serious injury or wrongful death. Alcohol remains one of the largest contributors to traffic accidents in New Jersey and across the nation. Alcohol impairs a driver's balance, vision, motor skills, cognitive thinking skills, and their ability to act reasonably. When a driver is under the influence of alcohol, they are also more inclined to drive at unsafe speeds, which increases the likelihood of a crash. Any activity that takes the driver's attention away from the primary task of driving is distracted driving. While grooming, eating, reading, or talking to passengers are forms of driver distraction, texting while driving is by far the most alarming form of driver distraction because it takes the driver's eyes off the road, their hands off the wheel, and their attention away from driving. Speeding is one of the greatest contributors to car accidents. The higher the speed, the less control a driver has over a vehicle and therefore the higher the chances of a collision. As speed increases, so does the risk of severe bodily injuries or death for those involved in the accident. As a consumer, we expect that automotive products have been designed to keep us safe and will not pose a danger to us. When auto products that are designed to protect us do not function properly, it can result in severe injuries. Car manufacturers have a duty to provide their consumers with safe products. Sadly, many automotive products are responsible for many deadly car accidents. Car accidents involving dangerous roadways usually result in legal action against a government agency like a state or federal transportation agency. Lawsuits against government agencies are complex because they proceed according to different rules than lawsuits against private citizens. There are strict time limitations to place the governmental agencies on notice for these types of claims. In New Jersey, pursuant to NJSA Title 59 statute, there is a 90 notice requirement of your intentions to bring a claim. It is wise to seek legal counsel from car accident lawyers with experience in these types of cases promptly so that your rights can be protected and preserved. We often work with transportation engineers and accident reconstructionists to develop a clear picture of how the presence of dangerous conditions on the road contributed to the accident and resulting injuries or death. We work diligently and we do not rest until we have put forth our best effort to get our clients the compensation they need after being hurt in a car accident. It is critical following a potential road defect accident case that all of the appropriate evidence is collected and analyzed such as the police investigative materials, fatal accident reports, photographs, measurements, CAD reports, witness statements, surveys of the road, and other key information. Snow, ice, sleet, freezing rain, and heavy winds all increase the risk of accidents for cars, trucks, motorcycles, buses, and other vehicles traveling throughout New Jersey. White-out conditions are especially dangerous, Once an Uber or Lyft driver accepts a passenger, he or she must have a commercial car insurance policy with at least $1.5 million in liability coverage for death, bodily injury, and property damage. They must also provide uninsured/underinsured motorist coverage in an amount of at least $1.5 million, which covers all who occupy the vehicle if another motorist causes an accident and does not have any insurance, or does not have sufficient insurance. When not providing a pre-arranged ride, an Uber or Lyft driver must maintain liability insurance for at least $50,000 for death or bodily injury, per person, and $100,000 for death or bodily injury per incident, and $25,000 for property damage. If you’ve been seriously injured in an Uber or Lyft accident, contact our team of experienced New Jersey Uber / Lyft Accident Attorneys at (973) 920-7900. Texting while driving is one of the most well-known and dangerous types of distracted driving. It is not just irresponsible; in our state, it is illegal. Many experts have compared its impairment and slowed reaction times to those of drunk driving. A person who chooses to send a text while driving is making a reckless decision that endangers every other motorist and pedestrian on the road. If their actions lead to a car accident that causes property damage, injury, or even death, then they deserve to be held accountable. Beyond that, any and all victims deserve compensation for their loss and suffering. These are some of the most dangerous types of accidents because of the general speed involved when the collision occurs. A head-on collision is one where the front ends of two vehicles collide, and these types of accidents usually occur when one vehicle strays into the path of an oncoming vehicle. The root cause can be a steering overcorrection, drunk driving, speeding, or distracted driving. This is an accident where a vehicle crashes into the vehicle in front of it. Common causes of rear-end collisions include tailgating, driver inattention, distracted driving, and panic stops. While the typical consequences of a rear-end collision include whiplash or herniation, in the case of minivans and the rearmost passengers, the injuries can be fatal because of the short rear crumple zone. Also known as a pile-up, this is a traffic accident involving many vehicles. Pile-ups generally occur on highways and they are one of the deadliest forms of traffic accidents. Causes of multi-vehicle collisions include low-visibility conditions, black ice, and/or other road hazards that drivers encounter unexpectedly rounding a curve or the crest of a hill. Determining the cause can be very difficult for investigators and it can often be impossible to tell if negligence was the cause of the crash. These are a type of vehicle crash where the side of one or more vehicles is impacted. They usually occur at intersections when two vehicles pass a roadway that has multiple lanes. They are common when a driver runs a red light or a stop sign and fails to yield the right of way. An occupant in a side-impact crash can sustain far more severe injuries than in a rear or front-end collision because of the lack of protection that is otherwise provided by the front- and rear-end of a vehicle. Snow, ice, sleet, freezing rain, and heavy winds all increase the risk of accidents for cars, trucks, motorcycles, buses, and other vehicles traveling throughout New Jersey. White-out conditions are especially dangerous, making visibility poor and travel treacherous. According to the American Journal of Public Health, traffic accidents caused by poor weather conditions result in an estimated 1.5 million accidents every year with injuries in the 800,000 range. When drivers are dealing with icy road conditions (such as black ice on the road), the risk of a spinout and/or losing control of your vehicle is much higher than normal. Ice spinouts occur when the tires of the vehicle lose traction with the road because of ice on the road's surface. In some cases, the spinout only affects one vehicle. In other cases, a number of vehicles can be impacted, potentially causing a multi-vehicle pileup. Drunk driving accidents can occur at any time with devastating consequences. In 2011, drunk driving accidents claimed the lives of almost 10,000 Americans and injured another 350,000. When looked at closer, that would equate to even more than one fatality per hour. Clearly, drunk driving is a nationwide threat devastating the lives of victims and their families. Drunk driving accidents are set apart from other accidents because, rather than being caused by simple negligence, they find their origin in outright recklessness. It is against the law to drive under the influence of alcohol and drugs. When one person disregards those laws and causes an accident due to being intoxicated, it can change the lives of many people forever. While law enforcement agencies work to reduce the hazard of drunk driving on our New Jersey roads and the criminal justice system prosecutes those drunk drivers they are able to catch, there are still many serious drunk driving accidents and deaths. Our New Jersey drunk driving car accident lawyers are here for the victims and their families in order to help them rebuild their lives. Drunk drivers should not only be prosecuted criminally, but we believe very strongly they should compensate the actual victims of their accidents as well. We will investigate your drunk driving accident and obtain all of the police investigative materials including the report, witness statements, surveillance footage, breathalyzer readings, and other related evidence. We work very closely with various experts, including bar experts on the standard of care for bartenders and bars, toxicologists, and accident reconstructionists to determine who the responsible parties are. We also explore whether or not you have a viable claim against any bar(s) that may have served the drunk driver. We will fight to protect your rights and make sure that the person responsible for your injuries is held accountable for their actions. 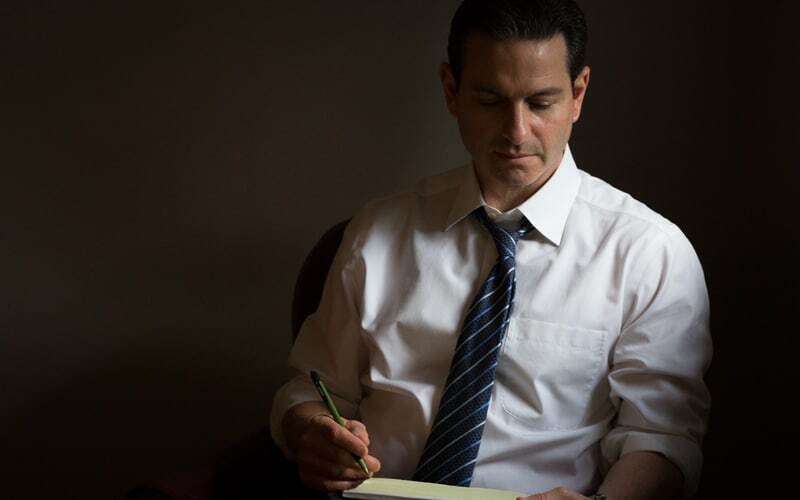 Our New Jersey car accident attorney, Todd Leonard, has been recognized by New Jersey's Super Lawyers® magazine for his ability to successfully represent drunk driving accident victims just like you. Our car accident attorneys will be able to help you determine what the cause of your car accident was, as well as what its direct consequences will be. For many people, the most drastic result of their car accident is the injuries they must now deal with. Car accidents can often cause serious injuries requiring hospitalization, permanent disability, or can prove to be fatal. Some of the other injuries we’ve seen in our more than 30 years of helping people after being hurt in car accidents include herniated discs, brain injuries, nerve injuries, spinal cord injuries, and other serious injuries. We have helped our clients and their families following a wide variety of car accident-related injuries. If you have been seriously injured in an auto accident, the assistance of an experienced New Jersey auto accident attorney is critical to assist you throughout your long recovery process. The state of New Jersey requires motorists to carry at least $15,000 in insurance to register their vehicles. However, this is often insufficient to cover the injuries and damages that arise after serious car accidents. If you were hurt in a car accident by a driver who carries inadequate insurance coverage, or worse, none at all, our car accident attorneys will determine where compensation is available and will fight on your behalf to help you get the restitution you need. When someone is injured in a car accident, they are dealing with an insurance company that is more concerned about minimizing its own losses than is about compensating the injured person fairly. Your legal right to seek financial compensation after a car accident in New Jersey depends on the type of insurance coverage you have, and may also depend on the other driver's coverage. Your car insurance includes either a limitation on the right to sue or no limitation on the right to sue. We can explain your insurance policy to you in clear terms that will help you gain a complete understanding of your legal options after a car accident. From the moment you are involved in an accident, you will need sound legal advice. What should you say to the adjuster? Where do you seek medical treatment? Do you use your own health insurance? Are you entitled to noneconomic damages? Where should you get your car fixed? Our car accident attorneys will answer your questions and advise you accordingly. Since New Jersey follows a "no-fault" system when it comes to auto insurance, we will provide you with guidance and direction on how to get your medical bills paid. We will also evaluate all of the auto insurance policies available from not only yourself and family but also the responsible driver. 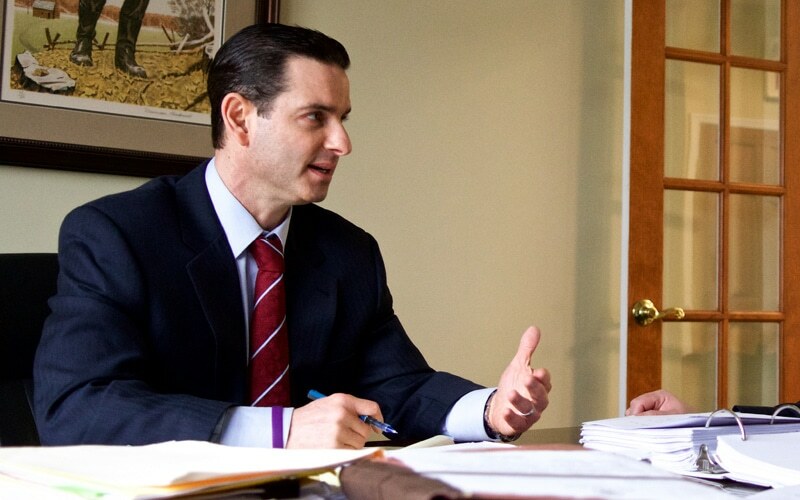 Once you retain an experienced New Jersey car accident lawyer from the Todd J. Leonard Law Firm, your attorney will be your voice during the legal process, and they will advocate on your behalf, ensuring that you are not taken advantage of or treated unfairly by the insurance company. Your auto accident lawyer will handle all communication with the insurance company for you so you can focus on your recovery. Auto insurance carriers are in the business of paying out as little as possible in claims. When victims attempt to handle their own claims, they are often in a money pinch and eager to settle. Since the average person has no concept of how much their claim is worth, the insurance company gains the upper hand and convinces the victim that their case is worth very little. 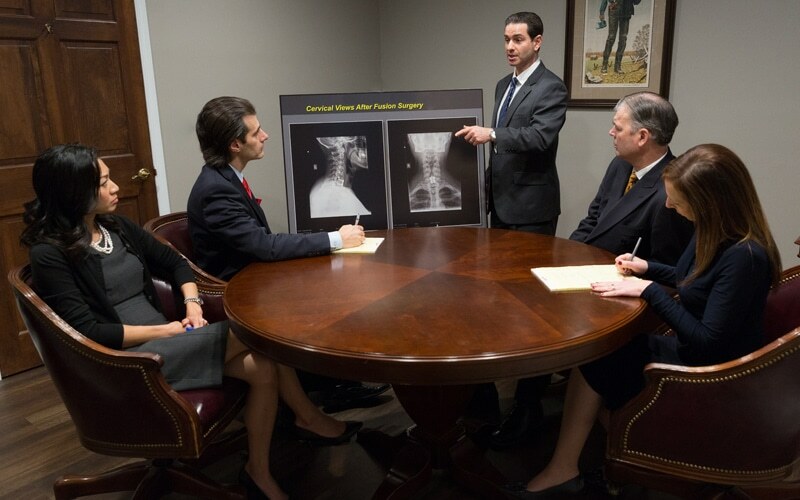 We will assess all aspects of your personal injury claim, including obtaining all of your medical bills, medical reports and records, wage loss documents, and often hire experts to obtain medical reports, and/or testimony to explain the nature and severity of your injuries and losses. The majority of personal injury claims settle outside of court. However, when there is a large discrepancy between how much we're asking and how much the insurance company is offering, it may be necessary to take the case to court. While we always strive to negotiate a fair settlement with the insurance company, when we fail to reach a compromise, we are not afraid to take a case to trial. Sometimes the difference between a jury verdict and what the insurance company originally offered can be significant. Our New Jersey car accident attorneys have been privileged to represent thousands of our clients and have obtained millions of dollars in recoveries. If you were injured in a car accident, you may be experiencing a lot of anxiety. The New Jersey car accident attorneys of the Todd J. Leonard Law Firm can help alleviate the stresses that come with dealing with your insurance provider, medical care facility, and holding the person who hurt you accountable for what they did. 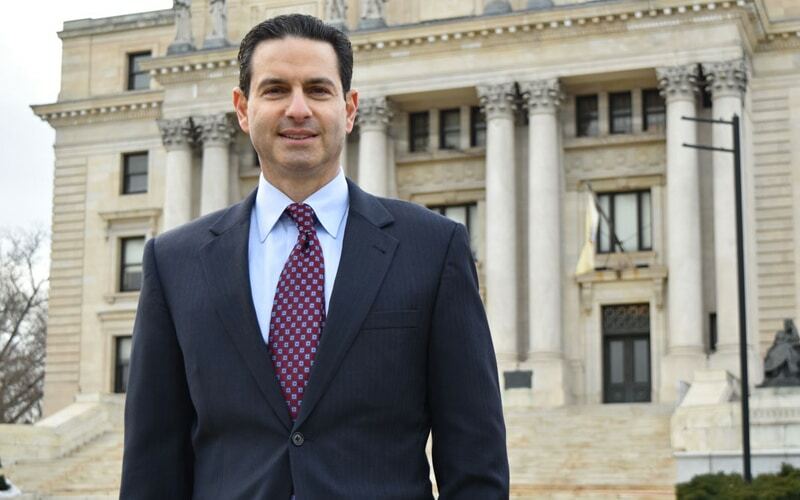 Our lead attorney, Todd Leonard, is Certified by the Supreme Court of New Jersey as a Certified Civil Trial Attorney and has been acknowledged as a top attorney in the state of New Jersey. Our firm can help you recover the damages you need to get your life back on track after suffering a serious car accident injury. Contact us for a free consultation today.